In the 17 days since the beginning of the George Zimmerman trial, I have tried to keep in touch with everything that has been going on. Like millions of Americans, I’m invested in this case. From the very start of the Trayvon Martin story we’ve delved deep down into the rabbit hole of topics that range from race to national gun laws to Florida’s Stand Your Ground law. Out of all these topics—which are all important in their own right—I still can’t get over one simple thing: George Zimmerman, after being told not to follow someone he deemed “suspicious looking,” decided it was in his best interest to continue pursuing his target, which ultimately lead to a 17-year-old black male with Skittles and Arizona Tea dead on the grass with a bullet in his chest. And yet, the more I think about this story, the more it isn’t surprising. I’m sorry for such a pessimistic view on the nature, but if we look at some things—more specifically the slayings and unjust nature against young black youth and minorities in America—how are we at this point surprised by these events when our country is yet to progress? Need I mention Oscar Grant? Or what about Nicholas K. Pert’s riveting story about N.Y.P.D. behavior against black males in New York City? In a day and age where we are almost 50 years removed from Martin Luther King Jr.’s “I Have a Dream” speech (August 28, 1963), it seems that our progression as a whole doesn’t even come close to what civil rights activists in the 60s had hoped for in a 50 year span. So with that, this is why the George Zimmerman case and Trayvon Martin story are important. And although it’s far from being the only one worthy of discussion—it’s amazing how mainstream media will invest everything into a certain story without focusing on others as well—it’s the closest America as a whole will get to understanding the core issues of civil rights in the 24 hour news cycle. Maybe it’s because we’re in an age of technological advancement and online everything, or maybe it’s because news outlets realize the magnitude of this case, but everything in the George Zimmerman trial is being taped and broadcast. This itself is a beauty, because we as a nation don’t have to take a reporter’s word or script to pass judgment; we can literally sit at our television and watch this unfold. And maybe, just maybe, this will ease the aftermath. See, the Casey Anthony case was stunning, and the Kermit Gosnell trial was frightening and just, but the George Zimmerman case is extremely important in that the verdict will extend far beyond the reaches of the courtroom. Whatever verdict is decided at the end of this trial, it is a guarantee that this won’t signify the end of the story. If taping the entire trial for people to follow and judge for themselves as it unfolds helps ease some, then this is needed. More importantly, getting this first-hand look at the trial gives us a sense of actually knowing the story from witnesses and accounts. The trial itself, at least through the first 17 days, has been patchy on both sides. From the jury selection, to the opening statements, and to the witnesses, both the prosecutors and defense team have gone through each and every ring a case could possibly throw. At the end of the jury selection, it was decided that six women would consist of the jury with four alternates (the jury only has six members because second-degree murder cases in Florida only call for six jurors). Five of those women are white, and one is Latina. Now what does it matter if the six jurors are women and that five are white and one is Latina? Why should there be questions asked? Well, for one let’s look at this case: first, the Trayvon Martin shooting has and will always focus mainly on race, because the details behind the altercation make it so (George Zimmerman was a Latino and Trayvon Martin was a black teenager; Trayvon looked like a “punk” and was “suspicious”). Beyond this, the jury selection was chosen for the benefit of both the prosecutors and defense: the prosecutors agreed upon this jury because to them, women have that instinct that Trayvon was just a kid, and that this would stir feelings of “that could have been my son.” On the other hand, the defense team agreed upon this jury because they wanted to emphasize the fact that Trayvon was a black male wearing a hoodie, and that he looked “suspicious,” trying to evoke feelings in the jury that this kid could have been trouble if they were in the vicinity. From the very get-go this trial continued to play on stereotypes, no matter how big or small they were. After day one, it looked like justice would be swift and vigilant. It looked, at least during that very moment, that George Zimmerman was doomed for what he rightfully deserved: second-degree murder. And yet, as the trial wore on, things started to get shaky. The prosecuting team’s witnesses thus far have failed to fully bring the information they were hoping for that would pin George Zimmerman. This is especially true with Rachel Jeantel, the 19-year-old friend of Trayvon Martin who was talking to him that night. Not only was it hard to understand her on the stand, she was also caught with providing misleading information and wrapping herself up in contradictions. Comparatively, other witnesses have only bolstered Zimmerman’s case for self-defense, claiming that Martin was throwing punches and Zimmerman was pinned. No matter what the verdict of this case is, remember: George Zimmerman was the one who decided to follow Trayvon Martin, even after being told not to by authorities. We still don’t know who started the initial fight, but this fact is important to retain. 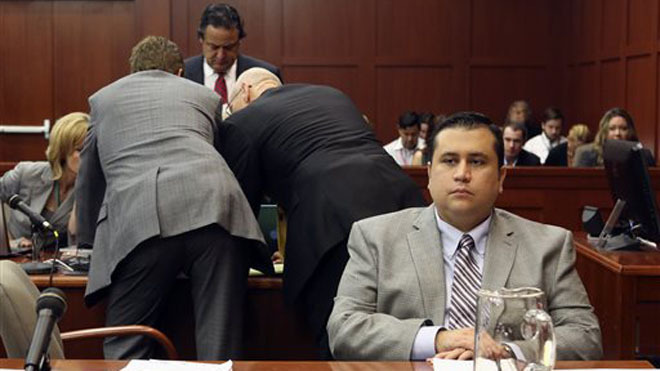 At this point, it looks like a lot of the evidence is pointing towards a worthy case of self-defense by Zimmerman. Even more disheartening is that the chances of him being convicted of second-degree murder are slim. If anything, he will get charged for manslaughter and will likely get a reduced sentence. His chances of walking are still high. Most important, no matter what happens, we as a community stand behind Trayvon Martin, his family and all of the similar injustices that plague not only our country, but our world as well. If you can remember way back towards the very beginning, you’ll remember that Zimmerman wasn’t even taken in for a crime. In fact, it was Florida’s Stand Your Ground Law that actually shielded him from such an event. 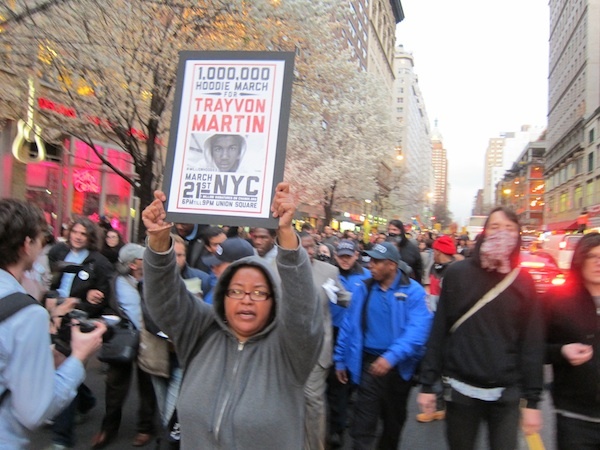 It took protests, petitions, “million hoodie marches,” demonstrations ,vocal output and action to actually bring authorities around to arresting Zimmerman and charging him for second-degree murder. One of the biggest groups behind Trayvon Martin and the calling for social justice was the hip-hop community. Not only were there demonstrations and peace talks, but also artists and MCs (both high on the spectrum and underground) were making dedication songs to a story that is all too familiar in the hip-hop realm. From the outpour and concerns, the hip-hop community has also unleashed a plethora of tribute songs. And although some are better than others, a situation like this shouldn’t be judged on musicality, but sincerity. On Jasiri X’s song “Trayvon,” he raps over the fitting beat of “No Church in the Wild” to explain the event that took place. It’s a haunting tale, especially over the churning production of “No Church…,” but its Jasiri’s vocal cadence and lyrical detail that reinforces both strength and sadness regarding this story. “Made You Die,” a song by Dead Prez, RBG member mikeflo and Yasiin Bey, takes a more revolutionary approach and expresses that the Trayvon Martin shooting is the straw that broke the back. These are just a few examples, but from the hundreds of Trayvon Martin tribute songs, it’s a clear-cut sign that this story isn’t simply a resurgence in hip-hop awareness. Rather, it’s a sign that the problems that plagued the hip-hop community from the very beginning are still very much alive. Moreover, hip-hop has always been something representing that fight, or that something to fight for, and this 16 month story is putting that fight on the national spotlight. 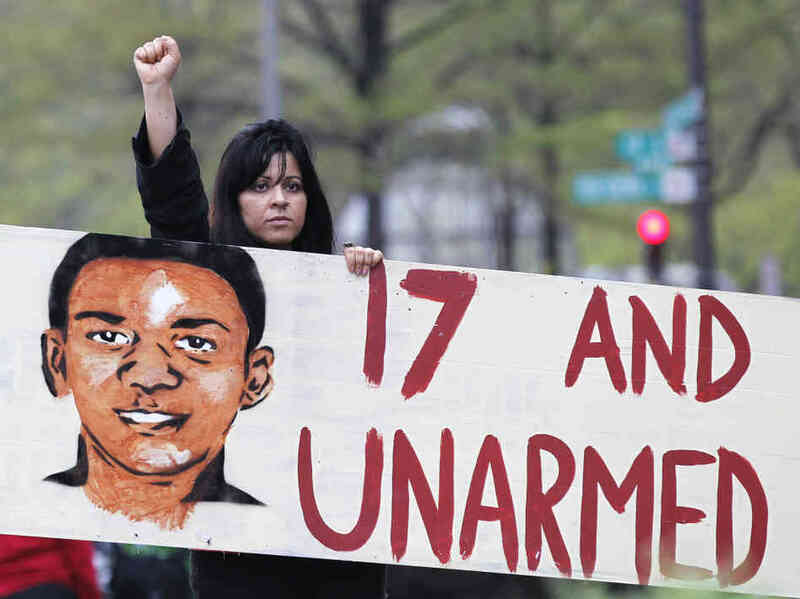 The shooting of Trayvon Martin and the George Zimmerman trial are part of a bigger story. On the surface you have an unjust Florida law that allowed a grown-man to murder an unarmed boy. However, at the core you have bigger issues. There are issues on race, oppression, stereotyping and issues of our country’s growth in general. It’s been 50 years since the “I Have a Dream Speech,” and yet we as a whole are yet to fully embrace it. We have continued to see the slayings of innocent and unarmed minorities (especially the black youth), and we have continued to see the perpetrators let off unfairly. Despite the vast improvements we’re making as time goes by, it’s not enough. We need action. 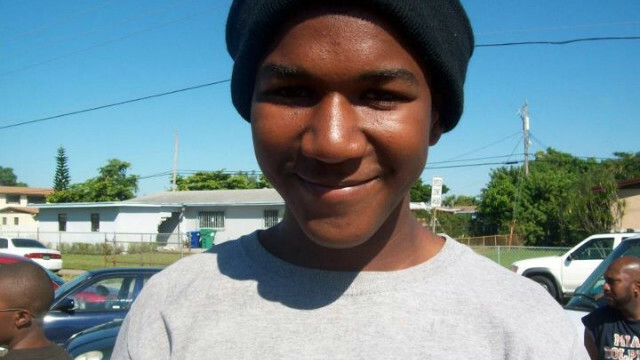 When the story of Trayvon Martin first surfaced, it took action to have the Sanford Police Department even consider charging George Zimmerman. This action, which included the protests and marches, directly resulted in an arrest and a second-degree charge. Millions of people around the country, whether they were involved with hip-hop or ordinary citizens, took to the streets and voiced their say. These examples of action demonstrate one thing that must be recognized: unity. We cannot as people continue along our petty ways of indifference if we expect to see change. Furthermore, we need to march together for the bigger causes worth fighting for. Politicians need to stop fighting for “seats” and actually work together and listen to the constituents. Law enforcement needs to stop playing stats and work on bettering the country as a whole. News outlets need to spread attention to all the important stories and stop broadcasting from one side. Focus on education needs to start playing to the needs of the kids instead of standardized tests and statistics. People need to look past skin color, culture, gender, sexual orientation and religious affiliation when judging one’s character. And we as a whole need to realize hatred and injustice are a waste of time; life’s too short to be full of hatred. We need to come together like so many cultures and people have come together in the past, and fight for these things. 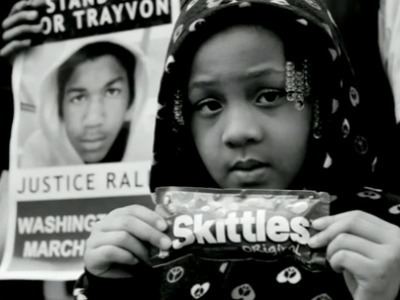 We need to come together like hip-hop did for Trayvon Martin. We need to express ourselves, not just vocally, but through art, discussion, workshops, demonstrations, protests and marches. If we don’t take action, we won’t see change. Along with action, we also need hope.